Meet Pinnacle Award recipient for favorite duck call John Stephens of RNT calls. There are so many outstanding people, places and products in Arkansas, and we wanted to know some of your favorites. the online votes from arkansaswild.com are in and tallied, and we are proud to present our first-ever annual Arkansas wild pinnacle awards, acknowledging your picks for standouts in the world of Arkansas outdoors. Where do Arkansans like to go to hike, fish, bike, run or paddle? They head to the ozarks, hit the Arkansas River Trail, peddle at Devil's Den or launch a boat on Lake Ouachita or the Buffalo and Mulberry rivers. Our pinnacle award-recipient hot spots represent great places to start exploring the wonders of Arkansas! How long has Zimmerman’s been in business? Going on 30 years. And we’ve always been at the same location and family-owned. How many types of fish can people catch with bait from Zimmerman's? What kinds of fish are the most popular for your customers to go after? Every species in arkansas, depending on the time of year. Spring is bass and crappie, and then when bream start spawning, it changes over. First we sell a lot of minnows, then crickets. Later in the year, it’s all catfish and trout, especially when the arkansas game and fish commission does its trout stocking. Urban trout fishing and nagging fish down below the dam is popular. What non-bait items can anglers pick up when they shop at Zimmerman's? We’re open for fuel, ice, groceries, snacks, drinks and beer 24/7. We also carry rods and reels, dip nets, minnow buckets—whatever you need for fishing supplies. What do you think it is about Zimmerman's that made readers choose it as their favorite bait shop in Arkansas? There’s not another place around with this sort of fish and tackle selection. Customer service is important, and people love our family-owned-and-operated staff. One of our folks, Miss Betty, is 82 and has worked here for 30 years. How many years has Rich-N-Tone been doing business? What is your primary mission when serving customers? RNT was founded in 1976. Simple. Versatile. Dependable. These are the foundations of our company as we continue to build the easiest to operate, meanest sounding, best performing in any environment, most realistic duck calls on the planet for customers of all calling levels and styles. How many types of duck calls does RNT sell? RNT currently produces 12 models of duck calls, six models of Canada goose calls, and two models of Speckle Belly calls. All calls are produced in a variety of exotic woods and acrylics. We also produce a more budget-friendly line, Quackhead Calls, starting at $19.99. What other items besides duck calls can hunters get from RNT? Canada goose calls and Speckle Belly calls, RNT logo apparel, hats, custom-logo gunstraps, cups, thermoses, wallets and knives. We also offer instructional calling DVD/CDs and call displays. We provide custom engraving on all calls with our laser engraver. Customers can work with our engraver to design and build a one-of--a-kind personal call. What do you think it is about Rich-N-Tone that made readers vote it their favorite duck call in Arkansas? Duck hunting is a history-rich sport across the country—and especially here in Arkansas. We duck hunters share so many memories. RNT has been in business for 40 years, and being a part of such a culture as waterfowl hunting is very important to us as well. We know a duck call can be a very prized and personal tool to a hunter that is going to be a part of every hunt, and aid in producing a memorable one. So as we build a call, we take that in consideration and take pride in being a part of this unique culture, and strive to produce a product that not only performs at an extremely high level, but also provides the owner with a sense of comradery, family and being a part of something special. It’s not just about the call, but the company. The experience. After all, the decision is left in the customers' hands. It’s their call. It’s what we do. What is your primary mission when serving customers? It’s hard to nail down our primary mission. Obviously, selling gear is the end result, but our mission is a little bit different. I’ve actually tried to write on this subject several times and I can't seem to find the right combination of words to accurately describe it. Bottom line is: we are passionate about the outdoors and want to share that passion with our customers. How many brands of kayaks and canoes does Ouachita Outdoor carry? What paddle accessories can boaters get? I would be willing to say that we are Arkansas’ most complete watersports outfitter, with over a dozen brands of canoes and kayaks. We carry Jackson Kayak, Native Watercraft, Perception, Dagger, Wilderness Systems, Mad River Canoe, Bic Sport, Tahoe SUP, Boardworks, Badfish SUP and Esquif Canoes. We are the only official demo center for Liquid Logic Kayaks in the central United States. Our array of accessories is unrivaled. We carry Orion Coolers, Werner Paddles, Astral Buoyancy, Astral Footwear, Yak Attack, Kokatat, NRS, ShredReady Helmets, Sweet Helmets, Sea to Summit, Ray Marine, Power Pole and a host of other smaller lines. We are open to finding the latest accessories and smaller craft companies in order to keep our selection varied. What are some other things folks can pick up from Ouachita Outdoor Outfitters before heading into the outdoors? What kind of service work do you offer? We offer a variety of outdoor gear for paddlesports, hiking, backpacking, rock climbing, fly fishing, long boarding and camping—as well as outdoor apparel and gear. We also repair kayaks and canoes as well as advise enthusiasts on the best places to get outdoors for their next adventure. What do you think it is about Ouachita Outdoor Outfitters that made readers vote you their favorite gear outfitter in Arkansas? Not only do we offer a wide variety of high-quality goods at fair prices, but we make it a point to provide the best customer service in the state. We take the time to get to know each customer and their needs so we can find out what products will be best suited for their lifestyle and budget. We love what we do and we love the outdoors, and we try to make that love evident in every customer interaction that we have. How long has chainwheel been in business? What's your primary mission when it comes to serving customers? Since 1971, we have been providing a wonderful form of recreation, plus great service once you’ve got your bike. How many brands of bikes do you carry? What is your most popular? Is there a staff favorite brand? We carry four or five brands. Trek is our most popular brand, as well as the largest provider in the country. It’s hard to pick our favorite because there are so many styles of riding. What should customers know about the in-house bike fitting setup? How is that preferable to traditional bike fittings? It’s a one-of-a-kind. One of the most interesting things to me is that all the protocols are in the Dynamic Fitting Unit (DFU). Instead of having to change parts such as stems, we can do that while you’re pedaling with a computer. We can also change angles and other measurements such as seat height—and you are actually fitting yourself. It allows you to tell us what feels good to you. What is something that readers who haven't been to chainwheel should know about the store? What do you think gave you the edge to win this award? We have the most experienced service staff in town. We do a great job setting you up on your bike. We are committed to 48-hour turnaround on repairs unless we have to order something. We think it’s important to turn that around to you quickly—that’s your recreation. "We wouldn’t be here if it wasn’t for our amazing Customers. Thanks for the vote, Arkansas!" Don't miss Gaston's restaurant! they'll cook your catch right up! How long has Gaston’s been in operation? Since 1958. How many cabins does Gaston’s currently have? How many fishing guides? We have about 79 different types of accommodations, from basic rooms to our 10-bedroom, 10-bath lodge. We currently have 12 guides. What's the largest trout ever caught at Gaston's? The biggest was over 38 pounds, although trout usually average five pounds. What do you think it is about Gaston's that got our readers excited enough to vote it their favorite fishing resort? The fact that we’re just a first class fishing resort. We’ve got the restaurant here—all the fish that are caught, they’ll actually cook it for you. We have so many different types of amenities; we’ve been here for 50 years. We’re known for being very accommodating to all of our guests—we’ll do anything to help our guests out. We want to make the experience great. How long has Crain RV been doing business? What's your primary mission when serving customers? Crain RV is part of the Crain Automotive team that’s been doing business for 30 years. Crain RV has been in business for about eight years now. Our mission is pretty simple: We want happy customers, always. How many brands of RV does Crain carry? How big is your pre-owned RV selection? We carry Tiffin, Jayco, Newmar and Airstream. Our pre-owned selection is quite large. We carry Fifth Wheels, Motor Coaches, Class A&C, Diesel Pushers, Travel Trailers, Popups and Toy Haulers. What kind of RV service work does Crain provide? We work with all makes and models. The Crain RV service department has over 38 years of experience in the RV Service industry. We can handle any job from changing light bulbs to a complete rebuild. What do you think it is about Crain RV that made readers vote you their favorite RV dealer in Arkansas? We do everything we can to exceed expectations, and we think that really shows with being voted favorite RV Dealer in Arkansas. What are some of the amenities that make five oaks a great place to stay? What are some of the great things about the area? It’s an exclusive hunting lodge in this country’s premier waterfowl hunting region. We have an impeccably appointed lodge on more than 6,000 acres of timber and rice fields, all located in the heart of the Mississippi Flyway. What are some of the sustainability programs that five oaks has implemented to preserve and protect the surrounding wetlands? Five Oaks Lodge and the surrounding lands exist in harmony with nature, employing innovative, conscientious land-management practices that promote the health of the land and provide attractive year-round habitat for migratory and wintering waterfowl. We’ve put decades of research and scientific study into the nurturing relationship between waterfowl and habitat, and our land-management plans have a national reputation for success. How long has Fort Thompson been doing business? What is your primary mission when serving customers? Since 1931 when it was founded by C.B. Thompson. Our family bought it in 1985 with the goal of providing the best selection and customer service. How many brands of firearms does Fort Thompson sell? Is special ordering possible? Well over 30. Any major brand you want, we probably carry. As for special ordering, we can usually get stuff pretty quick. What other hunting and outdoor tools and gear can folks get at Fort Thompson? We have clothes, boots, waders, decoys, hunting accessories, ammunition and anything shooting-related. Whatever you need, we've got it. Ammo and clothes are our biggest sellers, with boots, waders and decoys being the next biggest. What is it about Fort Thompson that you think made readers vote you their favorite guns and ammo dealer? That goes back to our customer service. We want folks to have a pleasant experience. We recognize our regulars, and we keep hard-to-get items for people to find what they need. Good customer service is key. How many years has Gearhead been in business, and what was the motivation behind starting the company? Gearhead Outfitters was founded in Jonesboro in 1997 by Ted Herget. Ted has a passion for the outdoor industry paired with a passion for helping others. He is an avid runner and cyclist. He truly lives the lifestyle he promotes. What community event does Gearhead sponsor, and are there any new ones coming up? As part of our mission to support our communities we direct and/or support many annual projects. We co-sponsor Women Can Run, an annual 10-week, couch-to-5k program that begins with around 500 women. In 2013, we created Project 90, a 90-day online running program that teaches participants the proper run form to reduce the risk of injury. We also host a Sprint Triathlon each summer, and this year we’ve added a Duathlon to the event. The event is held at Craighead Forest Park in Jonesboro and participants are challenged to swim, bike and run on a beginner-friendly course. What is it about Gearhead that you think made readers vote it their favorite Arkansas outdoor brand? Our mission at Gearhead Outfitters is to help our customers live active, fulfilling lives by providing quality outdoor-inspired products, backed by deep expertise and remarkable service. We hope that our customers voted for us because they feel a connection with us. Tell us something about Gearhead that the rest of Arkansas needs to know or might not know. Gearhead Outfitters is based out of Arkansas, so we pride ourselves on being able to partner with brands that were also started right here in our home state. How long has Ouachita Kayak Tours been in business? What is your primary area of operation? We’ve been conducting tours for two years in the Lake Ouachita area. What services do you provide? what is your primary mission when serving customers? Do customers need prior experience? I do kayak tours, starting with instruction for beginners. Everything from half day tours to full day tours, everything from birdwatching to seeing how far you can go in a day, I try to accommodate anybody. What do customers need to do in order to set up a guided tour? What is the number limit for participants per trip? Customers can call to make a reservation; there’s no limit yet. What do you think it is about Ouachita Kayak Tours that made readers vote you their favorite guide service in Arkansas? It might be my passion for the lake—or being the only guide on Ouachita. The variety of experiences you can have is incredible, and I’m pretty flexible. How long has Bradford Marine been doing business? What is its mission when serving customers? For 45 years. Knox and Pat Bradford started in 1971. Our mission for customers is to give them the opportunity to have as much fun as possible as a family. How many brands of boat does Bradford sell? How about atvs and other things? Tracker Marine group is our top seller. We also sell Yamaha and Can-Am ATVs and Seadoos. What are most customers looking for when they come in? Boats for fishing, recreation, family trips or some other reason? We're certainly fishing boat driven first, then recreation would be close second. What is it about Bradford that you think made readers vote you their favorite boat dealer? Hopefully it's that we try every day to do the best we can and let people have fun. People are passionate about their sports, and we want to let them do that to the best of their ability. How long has go! running been in business? That is the store's mission to its customers? We just had our sixth anniversary of being in business. The time has flown by. Our mission is and always has been to help and improve the Little Rock running community. How many brands of shoes does GO! Running carry? What other runner gear can athletes get from the store? We currently have eight different brands of running shoes, and several different models of each brand. We also carry lots of great apparel, including shorts, T-shirts, tank tops, running bras, socks and other items to make sure the conditions outside never make you miss a run. What events does GO! Running sponsor? At varying levels we sponsor upward of 40 races a year. Everything from a local 5K fundraiser to the biggest race in the state—the Little Rock Marathon. We are the key sponsor of the Arkansas RRCA Grand Prix, a series of 20 races including everything from a marathon to a one-mile race. We sponsor our race in June, the Go! Mile which is a one-mile run for everyone of every pace, with an Elite heat that is the RRCA National Championship. When was Central Arkansas Trail Alliance (CATA) founded? What was its goal at founding? CATA was founded in late 2013. What is CATA's primary mission? How many folks currently work with the organization? The goal upon founding was to create a sustainable support platform for multi-use trail systems in the central Arkansas region. We wanted to support mountain biking, as well as runners, hikers, and horse traffic. What projects has CATA completed in the state? What are some current and upcoming projects? We maintain the trail system at Camp Robinson, as well as some work at Wildcat Mountain. We also participate in multiple clean-ups, and have rebuilt and maintained trails at Boyle Park. 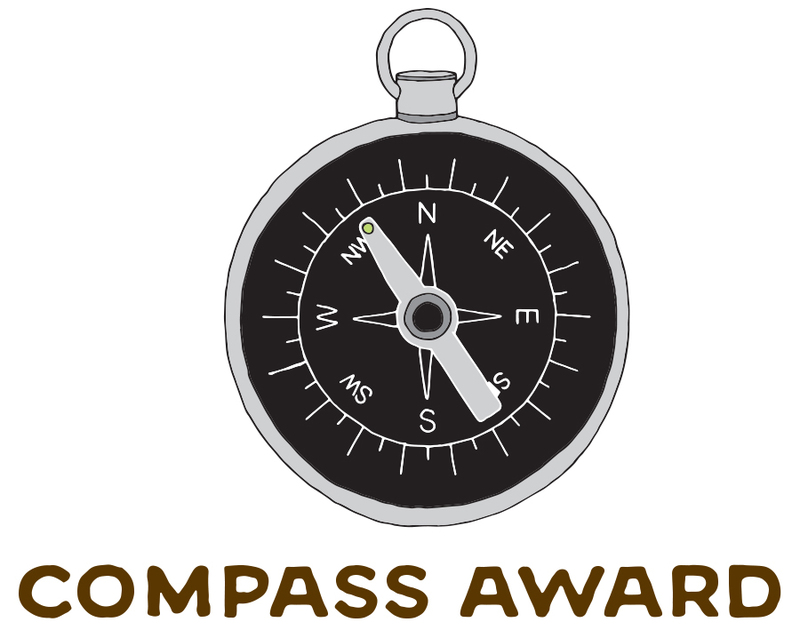 What do you think it is about your organization that made readers vote it their favorite outdoor charity or nonprofit? There’s a couple different trail advocacy groups, but we’re the only one that focuses on multi-use trail systems. Everything that we support is for multiple users.